Matches can help increase the benefit and attract customers for the pool room, good matches can not only enlarge the popularity of the pool room, but also can make up the income during the off-season. Even though the victory or defeat is concerned by the audience, which is more remarkable is the sports stars. The players who have superior skill and personality charm, are always attract the attention. 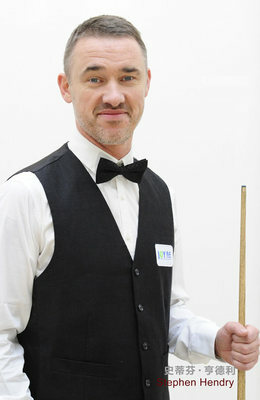 Stephen Hendry Challenge match is the commercial match which combined the billiard emperor’s demonstration effect and high level media resource. This is the best joint point of star effect and commercial value. The matches about sport stars always attract the local media, this can not only increase media exposure rate, but also have positive effect to get sponsor. So to hold challenge match pool room owners can integrate local contact network, and to connect with local companies via attracting investment. After the star challenge match, the pool rooms always have very high popularity then usually, the fans often ask if there will be similar matches in the next year. The business volume increases substantially, and add more ensuring factors of earning capacity, meanwhile it can also consolidate the leadership in local billiard room. The publicity will be done half month before the match, local billiard fans will prepare for it, increase practicing time. With the publicity effect and knockout match, there will be more customers, and the business volume will increase. To meet the idol, take photos with idol ,get the autograph and have dinner with them are very precious memories for the fans. For these things, the pool fans would like to pay for them. The privilege of JOY’s clients. JOY spends large subsidy to help you invite the legendary of billiard, Stephen Hendry. After the application is finished, the executive person of JOY will come to the club arrange for the activity before it. Fans meeting is a good performance-price ratio activity. Considered of the the limited scale ,capital and geographical condition of small and medium size billiard club ,this is a special activity that JOY made for small and medium size club. Because of the sports stars’ schedule is always very busy, clients need to book in advance. It is hard to change the main schedule without reserve. Dispense of large sum of money, you can invite super star. Raise popularity, increase members , prosper the pool club. Low investment, high income, and fast effect. This is the best promotion publicity for small and medium-size pool club. After the Fan meeting, the executive person of JOY will come to the club arrange for the activity before it. The activity time is no more than 2 hours, after the fan meeting, Hendry leaves the city. Club: To get high popularity. It can help the pool club to take the leading position at local pool clubs. Fans: The fans can not only watch the world champion play billiards on the scene, but also can have interaction with the billiard emperor, to take photos and get his autography. Except the challenge match, fan meeting, Mr Hendry also have the following commercial appearance form. The appearance of stars can improve the enterprise image, enhance atmosphere, assist on-site selling, and accumulate lots of materials for later publicity. Hendry commercial appearance is a popular cooperation form for businesses. Government investment promotion, enterprise celebration ceremony, opening ceremony, the billiard emperor can help you to get double effect. The appearance of billiard emperor shows the strong strength of the enterprise, and also can shows the attention to the customers (especially for the ones who are interested in billiards). No matter anniversary ceremony, or opening ceremony, the appearance of billiard emperor always attracts media, and enhances effect, improves popularity of the brand. In 8th,February, 2012, Stephen Henry signed with JOY Billiards Promotion Co.,Ltd, and became the promotion ambassador of Chinese eight ball. Hendry expressed that this is a supreme honor, this is just like to get the world champion trophy in Crucible again. Two years after signed the contract, Hendry’s footprint spread on 27 provinces of China, attending the Chinese eight ball masters tournament, challenge matches, and the fan meetings. And became the promotion ambassador in China and also in the world.